Bad Movie Dares + Reviews of New Releases. In this Earth Day-themed episode of the Dare Daniel podcast, Gen-X roadkill on the superhighway of progress Daniel Barnes and Corky McDonnell review Jason Bloom’s environmentally unconscious comedy Bio-Dome. Pauly Shore and Stephen Baldwin star as Tucson junior college students Bud and Doyle, 30-year-old man-children accidentally sealed inside an experimental science lab. Bio-Dome is a psychotically unfunny and thoroughly loathsome comedy from start to finish. That said, the film earns points for never taking its foot off the pedal, and for never attempting to make the manic idiot protagonists remotely likable or even human. More excreted than released in January 1996, the film co-stars Kylie Minogue, William Atherton (playing against type as a bureaucratic prick shown up by rulebreaking slobs), Joey Lauren Adams and Rose McGowan, and features cameos from Roger Clinton, Patricia Hearst, and Tenacious D. That early 1990s casting gets abetted by an early 1990s MTV aesthetic, just right for the uniquely layered and nuanced comedy stylings of Pauly Shore. Unable to cork it any longer, Daniel and Corky discuss anatomically correct action figures, grape smugglers, clown murders, The Great Chipmunk Fire of 1989, Taylor Negron ex machina, soy casserole and coconut bombs. Follow Dare Daniel on Facebook, Twitter and Instagram. Be sure to listen, rate, review and subscribe to the show on iTunes, PlayerFM, Listen Notes or wherever you get your podcasts. New episodes come out every other Tuesday! 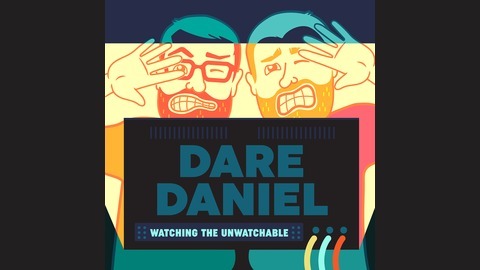 Help support the show by clicking the Donate button on the Dare Daniel homepage, and submit your movie dares HERE. 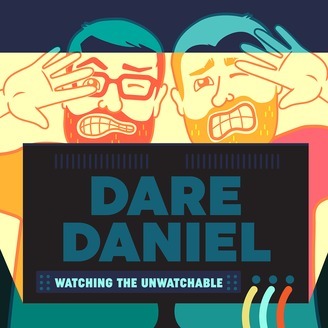 The post Film Podcast – Dare Daniel Episode 36 – “Bio-Dome” appeared first on Dare Daniel -- Podcast and Movie Reviews.